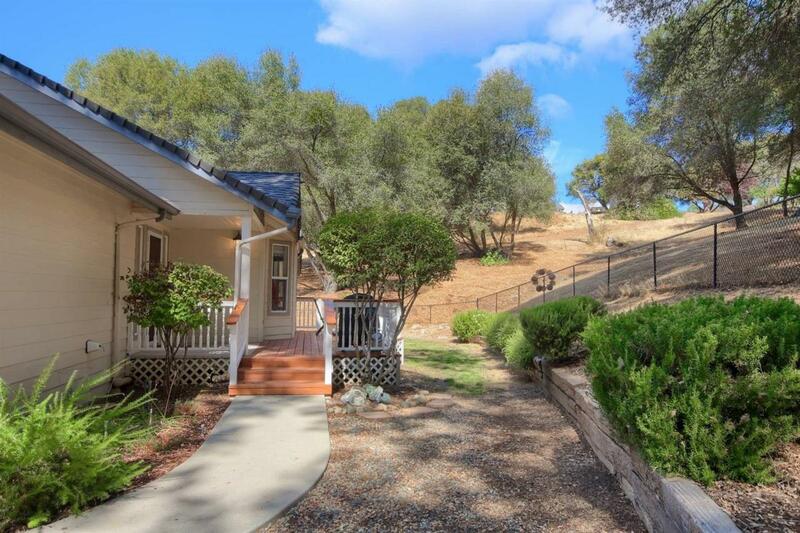 Beautifully maintained, move-in ready, 3 bedroom, 2.5 bath home in beautiful Ahwahnee just off scenic Hwy. 49. This home offers 2188+/- sq. 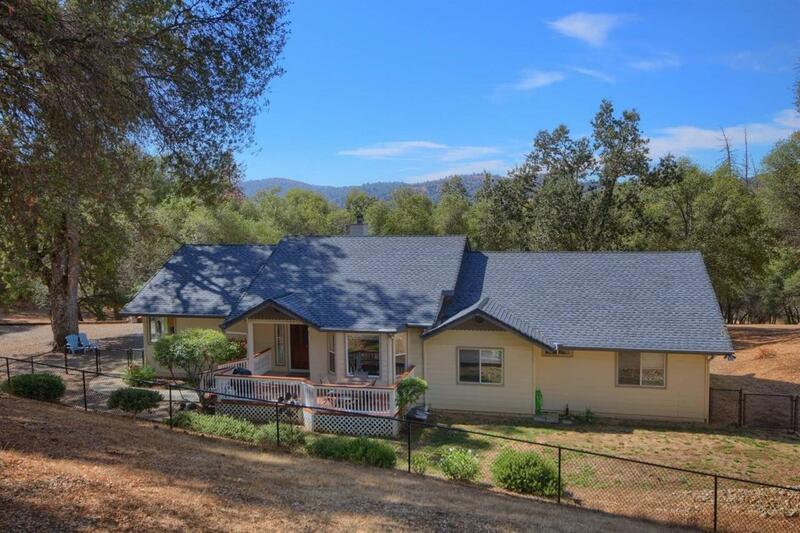 ft. on 4.54+/- acres. 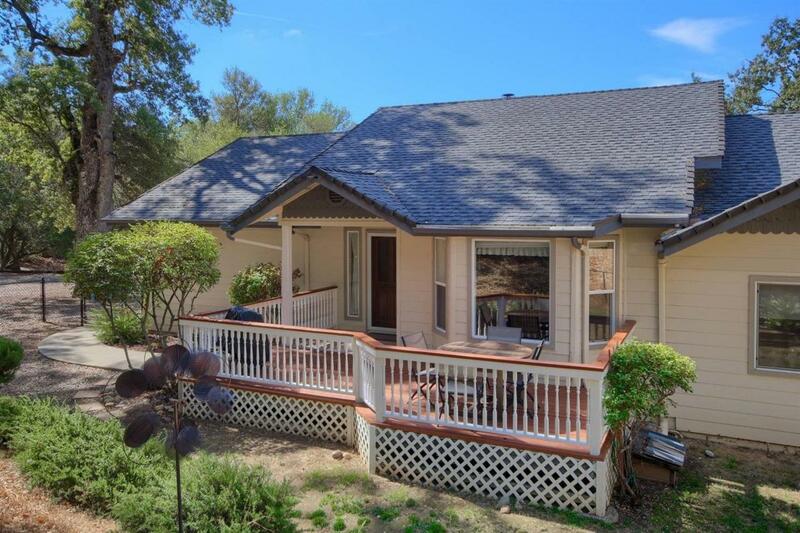 With a fenced front yard, you are welcomed with hardwood floors, tall cathedral-style & vaulted knotty pine ceilings. Open floor plan features formal dining area with bay window, family room with gorgeous stone facade wood fireplace with a raised hearth & a convenient wet bar & french doors lead out to the back deck for those summer barbecues. Kitchen opens to the living room, built-in appliances, new refrigerator, breakfast bar, Swanstone counters & center island with prep sink. Master suite offers dbl. sinks, jetted tub, shower & french doors that also lead out to the back deck. Exterior has been freshly painted. Inside laundry room with half bath. Below the rear deck is a separate entry to the heated bonus room. Storage shed with electric & water. Room for RV. 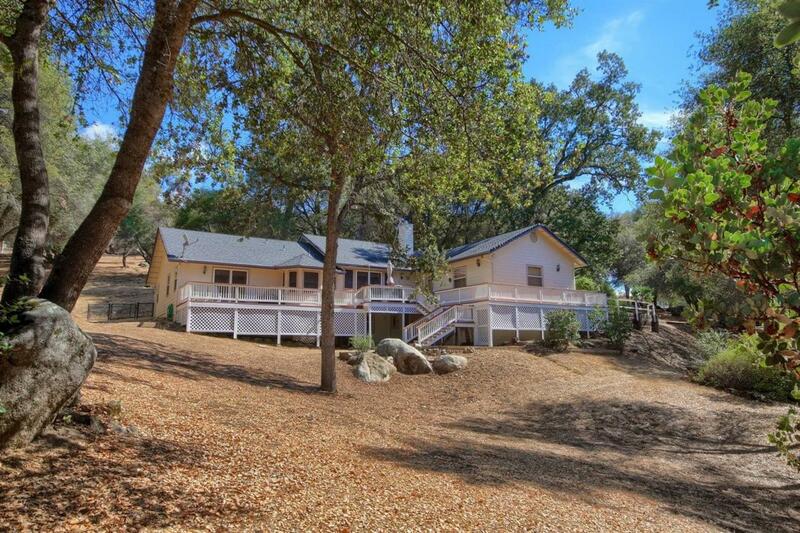 Very private & secluded property, perfect horse property.